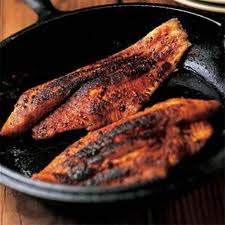 NJ Paleo Girl: Paleo Lent Week #5: who let the catfish out of the bag? 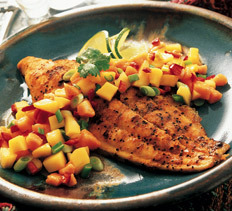 Combine all dry ingredients, rub fillets with olive oil, then coat liberally with spices. Fry bacon; save bacon for tomorrow’s breakfast, retain the grease. Drop in hot bacon grease and cook until you can easily put a fork through them. Grill the pineapple rings, turning once, until charred, about 2 minutes. Transfer the rings to a cutting board and chop. 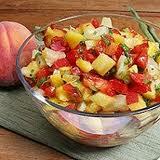 In a bowl, combine the pineapple, mango, bell pepper, onion, cilantro, olive oil, ginger, jalapeno, and lime juice.